A new Vampire: The Requiem thriller about frenzy and consequences, by Will Hindmarch. 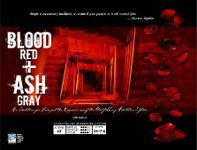 This story about political consequences, vengeance and the ethics of guilt pits players against the tangled motives of wronged vampires. Does it compound the sin of a crime to benefit from it? Is it a new sin to deny a victim her vengeance, when you know you're guilty of the crime she's avenging? Do you hold onto your Humanity by accepting punishment or use your own sin as an instrument for political gain?